Jon Heyman of Fancred broke the news that Twins reliever Zach Duke is being traded to Seattle in exchange for two minor leaguers. The Twins will receive RHP Chase De Jong, a 24-year-old in AA, and 22-year-old infielder Ryan Costello. The Twins acquired starting pitcher Chase De Jong, a 24-year-old, who has started 21 games for the Mariners' AA affiliate. He's 5-5 with a 3.80 ERA. In 120 2/3 innings, he has walked 34 and struck out 89. He has already pitched in the Blue Jays (2012-15), Dodgers (2015-16) systems, as well as the Mariners the last three seasons. He was originally the Blue Jays second-round pick in 2012. Infielder Ryan Costello is the other player acquired for Duke. The 22-year-old has hit .266 with 24 doubles, two triples and 16 home runs for Class A Clinton in the Midwest League where he was managed by Denny Hocking. 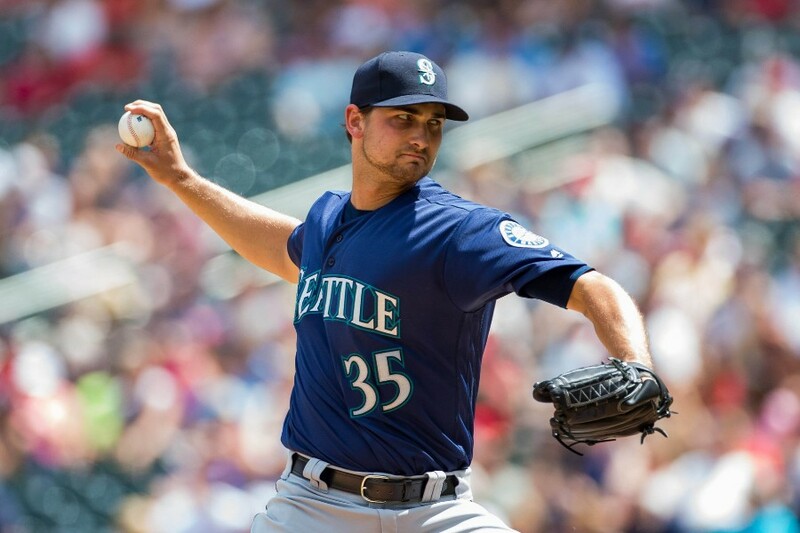 He was the Mariners 31st round pick last June out of Central Connecticut University in New Britain, Connecticut. Zack Duke will head to the Mariners after a solid season with the Twins. The Twins will pay a small part of the remainder of Duke's 2018 contract. This evening, Duke posted the following to Twitter, thanking Twins fans and looking forward to Seattle. Soon after, Ryan Costello thanked the Mariners and says he's looking forward to joining the Twins. When do we get the news Rodney is gone? The are receiving Chase De Jong (#16) and Ryan Costello (unranked). Rankings are via Baseball America. Makes sense. He and Lynn were always the most likely to be dealt. Any news on the return? Costello looks like a slight upgrade and younger option to Robby Rinn at A. De Jong looks like a DFA candidate. I am amazed we got this much.It is amazing how pitching sells - for me none of these players is as valuable as Escobar, but his return was not as much as I would have liked to see. Now if we can continue to move down the list with Lynn, Rodney, Odorizzi, and Belisle it will be great. Wonder if they have anyone available to take his roster spot tonight? Or maybe they’ll just have to go with 23 like they did against Boston after the Escobar trade! and Belisle it will be great. Chase De Jong was # 16 in Seattle's org rankings? They must have a very weak system. He seems AAAA at best. Ryan Costello is the more interesting of the two for me despite being quite old for the levels he's playing at. What's Buddy Boshers up to now that there's a LH opening in the bullpen? Yeah this is a poor return but we don't really need Duke if we are going to try and get some young guys MLB experience.I think I would rather have the international money as well because those lotto tickets might net something better in return than this.Not much upside in this trade unless you think Dejong will be a piece that makes it to MLB.Have to wait and see what the experts think but just quickly looking this doesn't look that great. I am glad they got something, I guess, and glad he is off the roster for the young guys.Here's to hoping DeJong turns out. Seems like the going rate for a middle relief (LOOGY) rental. Sounds fine to me. Neither guy coming back makes the Twins top 30 prospect list and I suspect De Jong gets DFAd at the end of the season (if not before) to make room for players that need rule 5 protection. Wasn't De Jong mentioned in the Dozier to Dodgers deal from 2 winters ago? Yeah, he was a possible throw-in. Maybe we can trade him *with* Dozier! I am not expecting much.I was just thinking there are more useful things we could get.Like international cap space or just one prospect maybe ranked a little higher like their 10thbest prospect (assuming that one has more upside).maybe we give them international cap space (if we have any) and pay more of his salary.Seattle has made it clear that it is this year or bust with them.I know that soon they will need to go the tanking route so might as well go all in. Seems like Costello is a pretty interesting prospect.Not in their Top 30, but thats probably because he was a 31st round pick out of Central Connecticut State last year.Has been really productive in Single A this year, although fairly old.He's actually no older than most of the infielders the Twins already have in single A and was a Midwest League All Star.#7 is OPS, #1 in HR, #5 in doubles.Very good K/BB ratio for a power hitter (better ratio that Kirloff, Lewis and anyone on the Kernels roster). In my opinion, seems like a sleeper and with the season he is having, he could easily move up the rankings.Having a far better year than Bechtold at the same age and he was a 5th round pick. Reading more about him, I think this is a big deal.He really wasn't a home run hitter in college, so it looks like he is really filling out. Zach Duke was a fun experiment. What did we learn? Don't give Paul Molitor left-handed specialists. If I was the Twins, I'd stick De Jong right into the Rochester bullpen. Maybe have him junk his weakest pitch and see if everything can play up a bit in shorter bursts. Worth a shot. Being a recent 31st-round pick doesn't inspire confidence, but you gotta respect Costello's numbers and it's not like he's only feasting on kids. He's faced older pitchers 61.3 percent of the time. He's tied for the MWL lead in homers and is fourth in slugging. How do you suppose the $75k in the Duke deal came up? Seems like a weird, small number, relative to the total salary. OK, how and why is Cave playing in Rochester this evening? When did he get sent down? I see Costello has played mostly first base this year. I'd guess he wasn't much of a third baseman? Rochester was completing a suspended game from June 24, when Cave was still there. He didn't get sent down, but he is still in the final box score.